Job Title: Mobile Electrician / Field Service Engineer (Commercial), Bedford/Cambridge Salary: £29k - £38,500k inc OT, 6% Pension, bonus, BUPA, van + fuel Location: Bedfordshire (field based) covering surrounding areas Does the thought of traffic and navigating the A1 at rush hour terrify you? If so stop reading, this probably isn't for you. Being able to navigate the roads and having the patience of a saint is key to this role. Does the thought of traffic and navigating the A1 at rush hour terrify you? If so stop reading, this probably isn't for you. Being able to navigate the roads and having the patience of a saint is key to this role. On the plus side you'll be representing a respected German company that are in their 91st year of business and are a true market leader in their field (I've checked), which is commercial ware-washing. To me and you that means they design, manufacture, install and service commercial dish washers. These are really big ones, no white goods here. You'll find yourself in airports, pub chains, hotels and restaurants so make friends and you'll be looked after, your solving the problem remember. The other part of the business deals with sterilising equipment, so you could find yourself in NHS trusts and hospitals to keep it interesting. Ideal location for this would be Bedford, Cambridge and South Peterborough. If you are based in Luton, Stevenage, Milton Keynes or just above the M25 it's probably not going to work as the company already have long serving engineers in these areas. You'll be joining a close knit team made up of 50 UK based engineers and an Operations Manager who started out on the tools with the company 30 years ago, not some know it all who's never held a wrench. You'll get on well and he'll look after you. You'll need to be strong electrically and hold some sort of formal qualification. You'll also need to have your wits about you mechanically as some of the kit has conveyors and pumps on and can be worth up to £1million. You'll receive a van which includes personal use as long as you don't take the p**s. You also get a bonus of £2,000 on top of your £29k basic for keeping the van clean and fully stocked, taking your basic to £31k. There's plenty of opportunity to kick your earnings up through overtime and on call earnings. Lee who I placed last year earns around £38k - £39k comfortably and doesn't do loads of overtime as he has family commitments. This will appeal to the grafters out there, you'll like getting your hands dirty and won't pull a face at the first sign of an issue or working late to finish a job. There's an on call rota of 1/3 but it's just the weekends and only until 5pm so not that bad, call out earnings are normally worth £1,000 alone. The average length of service for the engineers is 11 years so if you're after something long term and stable as opposed to constantly contracting, this could suit you, think German efficiency. You'll get BUPA health care thrown in + length of service bonuses. Pension is 6%. The area you'll look after will include Bedford, Cambridge, and Peterborough and cover Norfolk when that engineer is away. You won't be staying out or travelling all over the UK, it's geographically specific so you'll be home every night. They have a training centre set up at their HQ so you haven't had to have worked on commercial dishwashers in the past. They continually invest in this facility and for your first 6 -12months months you would shadow an experienced engineer. Their more interested in if you have the right attitude and a strong electro/mechanical background. I'll be honest and say this probably isn't the role for you if you have ambitions of becoming a manager within 12months. The structure is flat so you will progress technically but there's not a lot of room to go into management straight away. Ideally you'll live close to Bedford, Cambridge or South Peterborough. But I'd still consider someone a little further afield, although Luton and Milton Keynes are not good areas as engineers are currently based here. If you haven't got a CV please pick up the phone and give us a call my name is Ryan and my number is 07393013013. 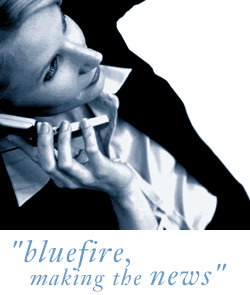 Bluefire offers a very generous reward scheme so if this role is not for you but you would like to recommend somebody else we would offer an attractive referral fee. The last fee we paid out was around £400.